As more places in the world get access to the internet but remain devoid of quality schools, online education becomes a vital tool for progress. However online education suffers from low engagement levels. Moreover it lacks key social interactions with peers and teachers that are necessary for a proper educational experience to be simulated online. 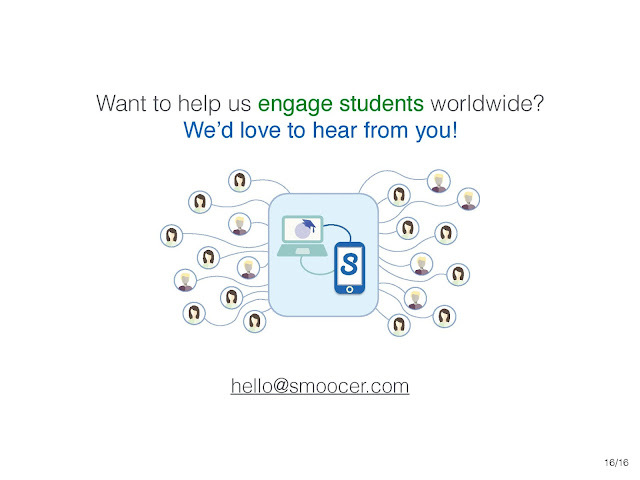 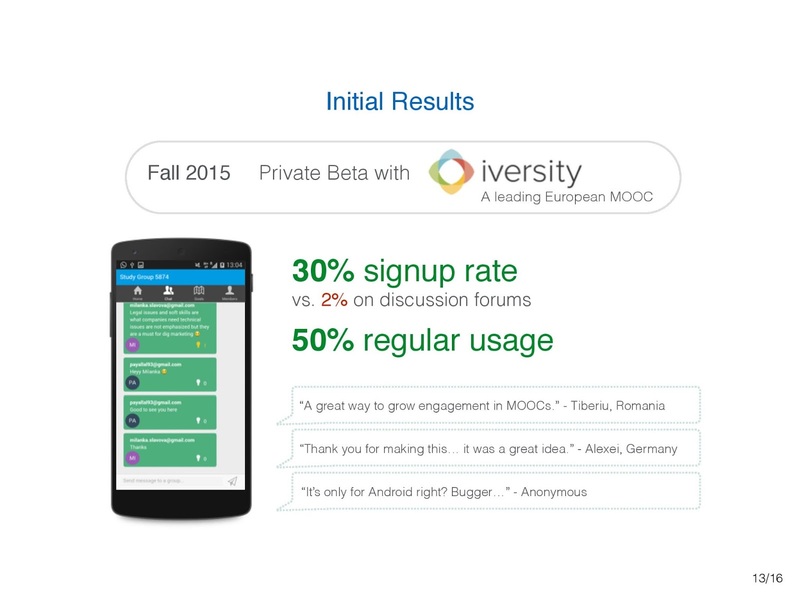 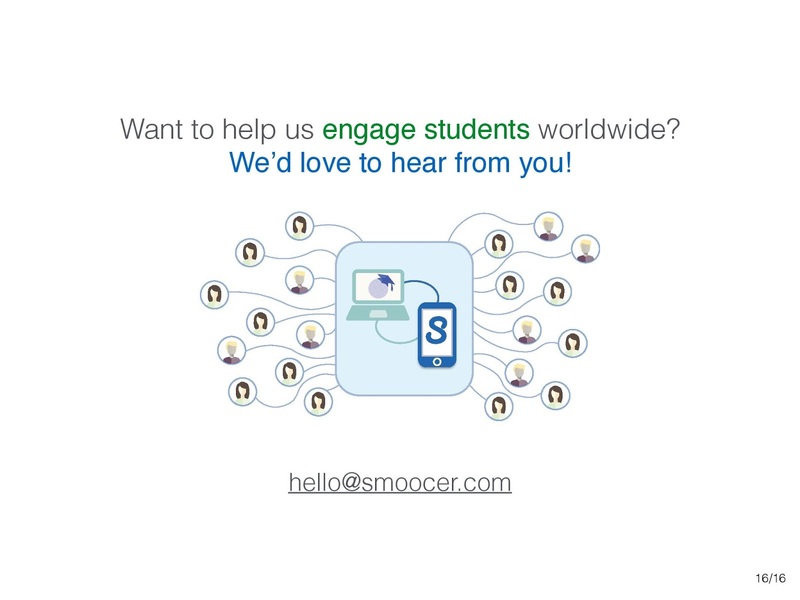 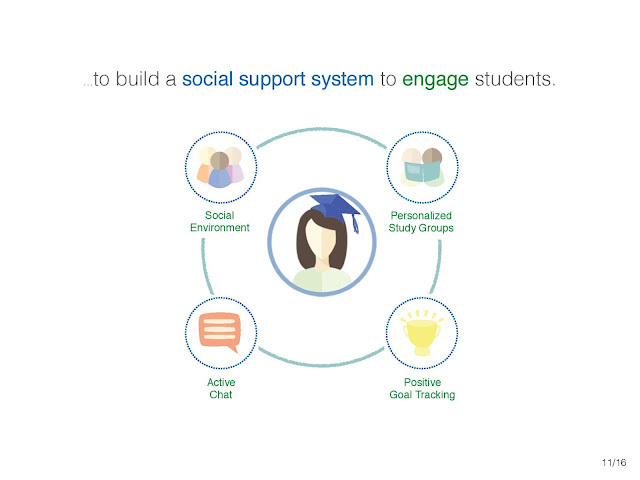 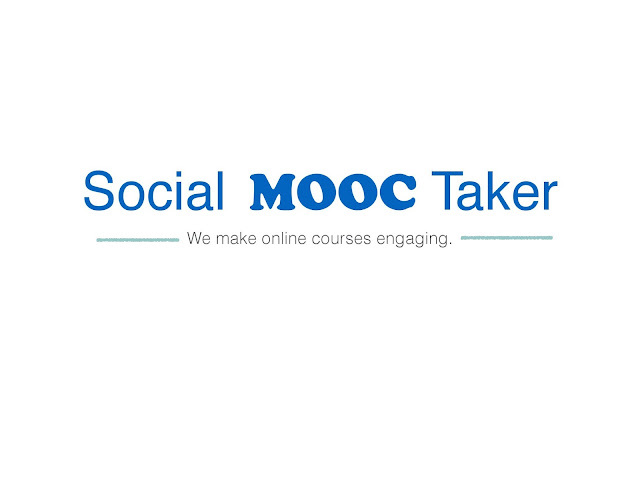 Social MOOC Taker make e-learning more social and engaging. MOOCs have a dropout rate of 95%. 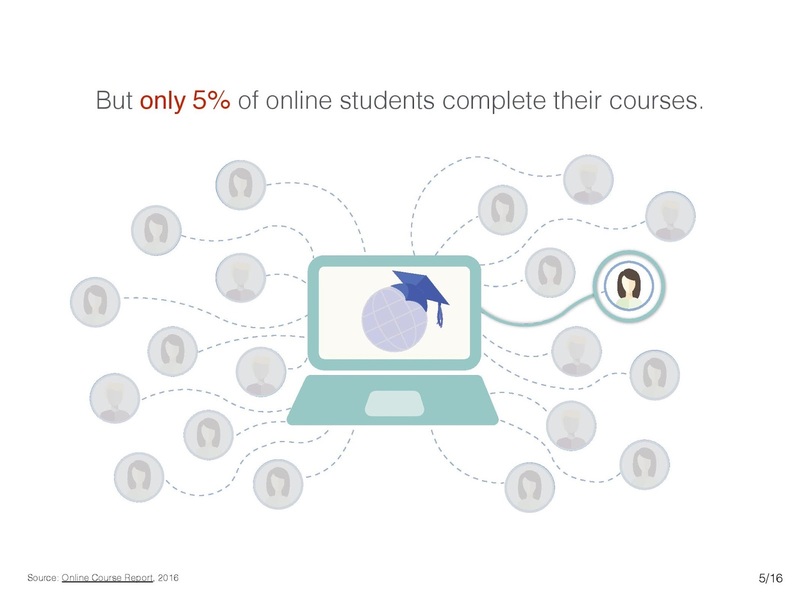 Only 5% of those who start an online course finish it. 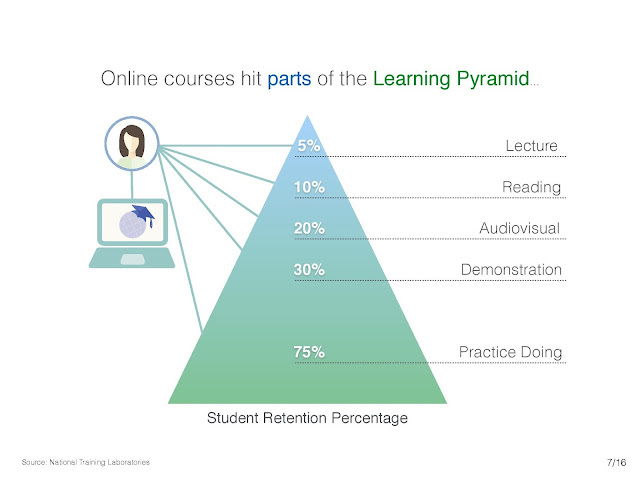 Engagement levels in e-learning are extremely low. Social MOOC Takersolve this problem by socially incentivising e-learners to complete their course. 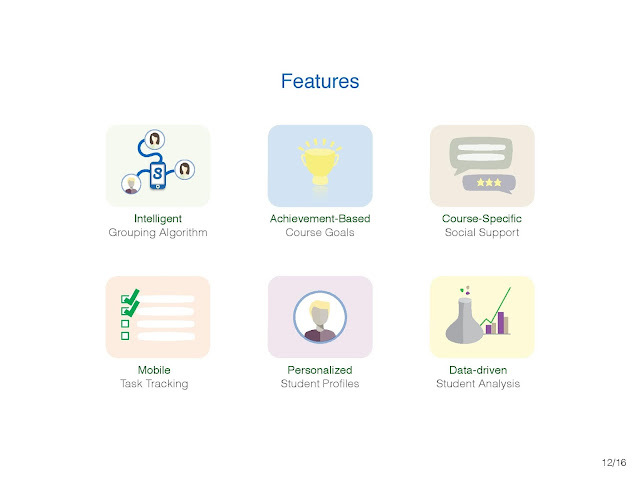 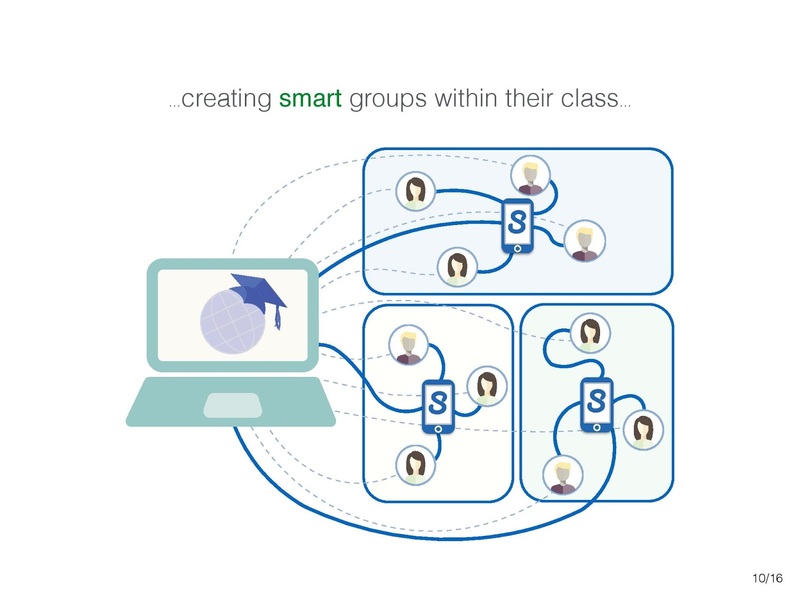 MVP uses group learning to solve this problem – Social MOOC Takeruse an algorithm to connect MOOC learners to fitting group of 10 others taking the same course. Learners interact with each other in an intimate chat like setting and keep track of their group's progress in the course. 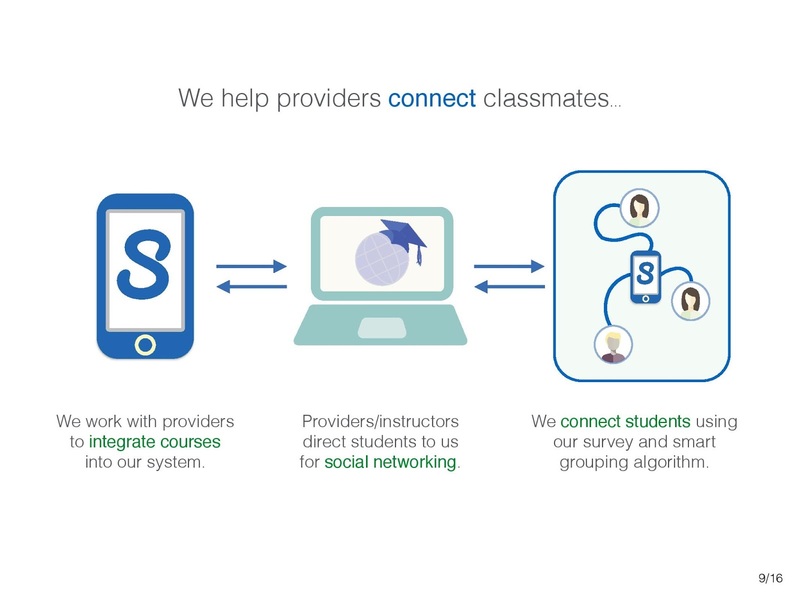 Customers of Social MOOC Taker are companies and universities producing content for online consumption who want to use this tool to increase retention in their online courses. 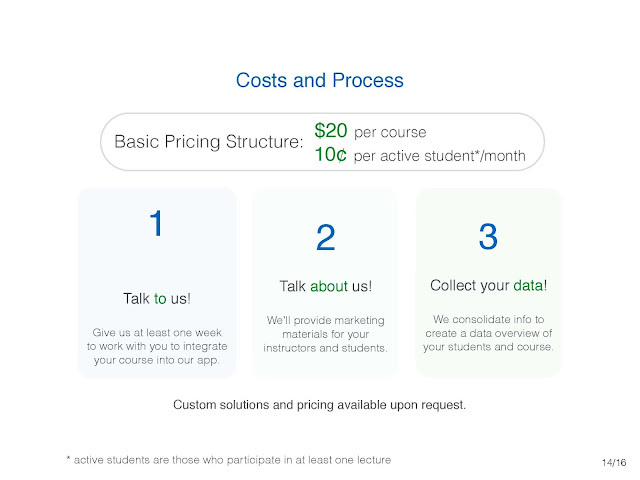 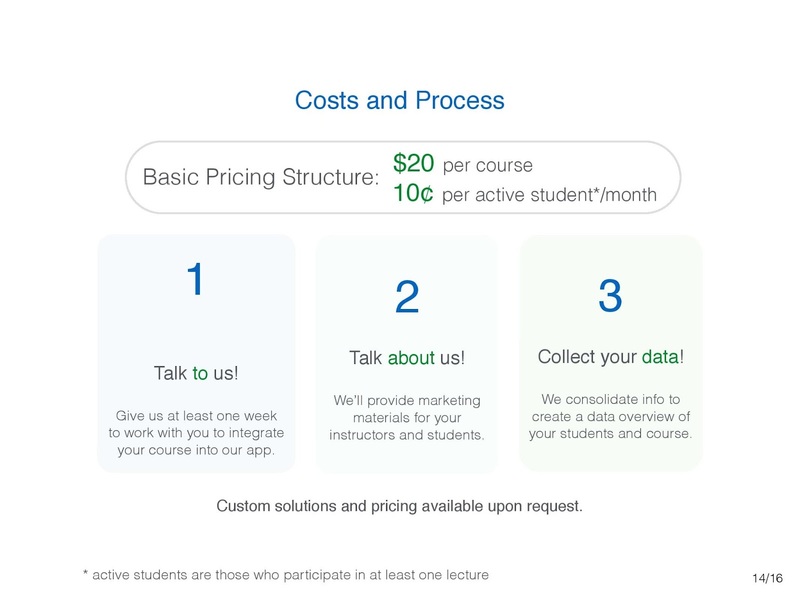 Social MOOC Taker charge our customers a fees of 10 cents/user + a $20 integration cost to plug our product into their platform. Payalis a 22 yr oldentrepreneur. 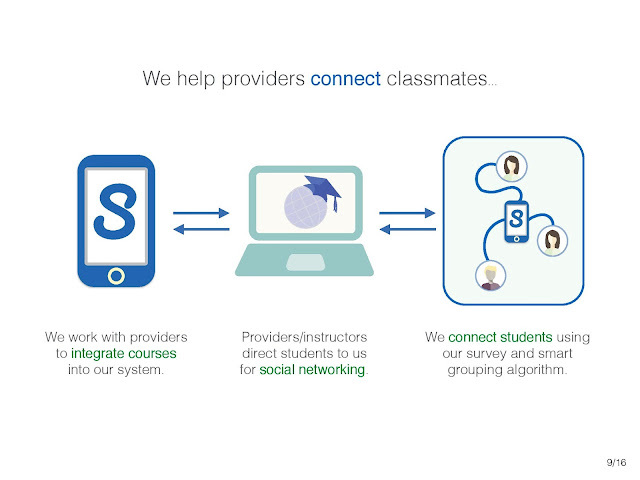 She previously founded one edtech startup (which took her to the semifinals of the Thiel Fellowship) and worked at three other edtech startups. Ben, our CTO is a self taught developer whose worked on various e-learning technologies including Moodle and online course platforms. 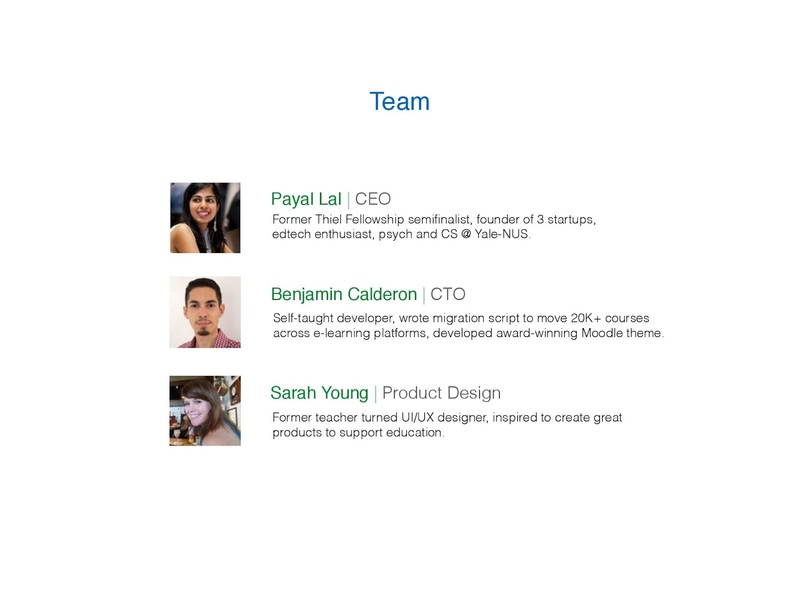 Sarah, our product lead is a teacher turned designer whose teaching experience helps us create a better product from a pedagogical aspect.